Are carpet dents driving you nuts? Have you decided that they are just something that you will have to live with? Well, there is something’s that you can do about them, and they do not have to continue to reap havoc on your carpeting! No matter how much you spend on your carpet to what type of carpet that you buy you are prone to encounter carpet dents at some point or another. This is mostly caused by heavy furniture. While most will work themselves out, some will become permanent. Did you know that most that do become permanent are the ones that care caused by the legs of heavy furniture? Heavy furniture naturally makes a dent, but the legs actually stretch the carpet itself. This is simply because a lot of weight is compacted into a small package. It not only causes damage to the carpet but also the padding that lies underneath the carpet. So, how do you stop this from happening to you carpet? Well, you can use padding that is specifically constructed to prevent carpet dents for one. Another thing that you can do it use furniture coasters. Move your furniture around from time to time as well. This not only adds freshness to the room, but it removes the weight from that area as well. There is even special carpeting that you can purchase to fight furniture leg dents in the carpet. That is something that you may want to consider the next time you have new flooring laid. Remember, high density carpets are not only better and last longer, but they look great too. The thick pads are not the best to use either. A firm and thin pad will actually be better. Metal spikes specially designed to lift the furniture will help as well. These go under the legs of your furniture, and the weight is distributed differently onto the floor. So there is no concentration causing the stretching or the resulting dent. These can be bought at your local hardware or home improvement store. So remember, choose the right flooring and use tools like coasters and spikes to prevent some of the stretching and damages. Move it around from time to time, and your floor should give you many more beautiful years to come. 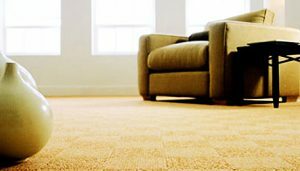 With the proper care and maintenance a good carpet can last for many years, and it is often the simplest things that make the biggest differences. © Copyright 2017. All rights reserved by | » How to prevent carpet dents caused by furniture with legs Peter Ross Enterprises Melbourne | Website Designed by: Netwizard Design.